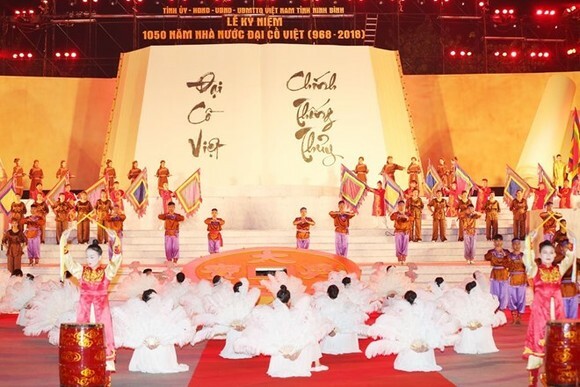 A grand ceremony was held on April 24 in Hoa Lu district, the Red River Delta province of Ninh Binh, to celebrate 1,050 years of the establishment of Dai Co Viet, the first centralized feudal state of Vietnam. 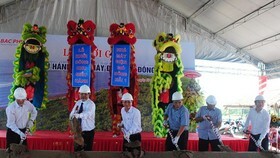 The event, held at the relic site of former imperial capital of Hoa Lu in Truong Yen commune, saw the presence of Party General Secretary Nguyen Phu Trong, former Party General Secretary Nong Duc Manh, former President Truong Tan Sang, former Chairman of the National Assembly Nguyen Sinh Hung, Deputy Prime Minister Truong Hoa Binh, serving and former leaders of the Party and State, along with a large number of local people and visitors. In her speech, Secretary of the provincial Party Committee of Ninh Binh province Nguyen Thi Thanh recalled the country’s glorious history, noting that in 968, Dinh Bo Linh put down the anarchy of the 12 warlords to become king under the name Dinh Tien Hoang. He named the country Dai Co Viet (Great Viet) and set up the capital in Hoa Lu, which is now Ninh Binh. 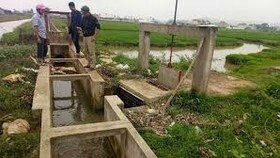 Thanh said the establishment of the first centralized feudal state heralded a new era for the country after a millennium under the rule of dynasties from the north. The country’s name “Dai Co Viet” existed from 968 to 1054 under three royal dynasties: the Dinh, the Tien Le (Early Le), and the early period of the Ly. In the Tien Le Dynasty and the early period of the Ly Dynasty, Dai Co Viet continued to develop in all aspects, and the country’s independence and autonomy continued to be reinforced, she added. The official said since Ninh Binh province was re-established in 1992, it has obtained a number of significant achievements in all fields. In 2017, the province’s economic growth rate was posted at 7.95 percent while nearly 8.8 trillion VND was collected for the State budget. The province has ensured defence, political security and social order and safety, she said, adding that it has also stepped up the building of the Party and political system. 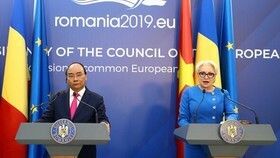 Speaking at the ceremony, Deputy Prime Minister Truong Hoa Binh said Ninh Binh is a traditional land of patriotism and culture. Over the past few years, the province has promoted solidarity and creativity to gain significant achievements in diverse fields with economic growth higher than the average level of the whole country. 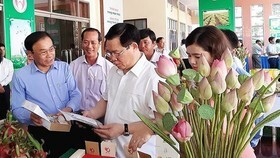 He urged Ninh Binh to promote historical and cultural values of the ancient land and develop such potential fields as hi-tech industry, clean technology, processing technology, and hi-tech agriculture in association with building new-style rural areas. 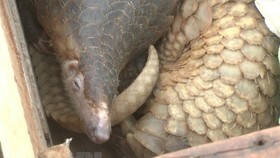 The province needs to pay more attention to social-cultural development, improve the quality of education and training, develop human resources and improve the material and spiritual lives of local people as well as implement effectively social welfare policies, especially for national revolutionary contributors, improve public health services, and better its business environment. 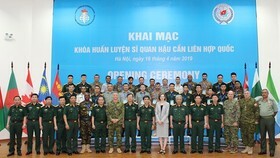 Ninh Binh should pay heed to preventing corruption and wastefulness along with protecting the environment, responding to climate change, and strengthening defence-security capacity, he said. 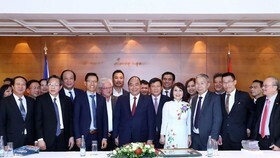 With its long-standing and proud history, the Deputy PM believed that Ninh Binh will overcome difficulties to successfully implement the Resolution adopted at the 21st Congress of the provincial Party Organisation, thus ensuring its rapid and sustainable development. At the ceremony, visitors were treated with a special art performance show and a spectacular firework display.